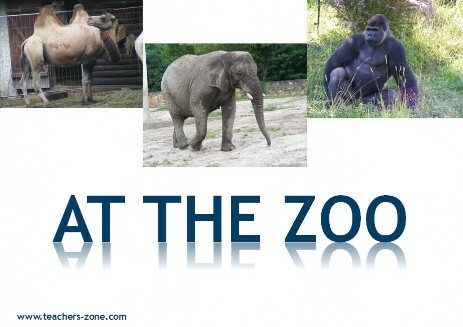 Introduce zoo animals with flashcards which contain labels and check the vocabulary with picture flashcards. Vocabulary: camel, cheetah, brown bear, elephant, giraffes, gorilla, lion, vicuna, polar bear, rhino, zebra, tiger, seal, flamingoes, penguins. To check the vocabulary use zoo flashcards without labels.